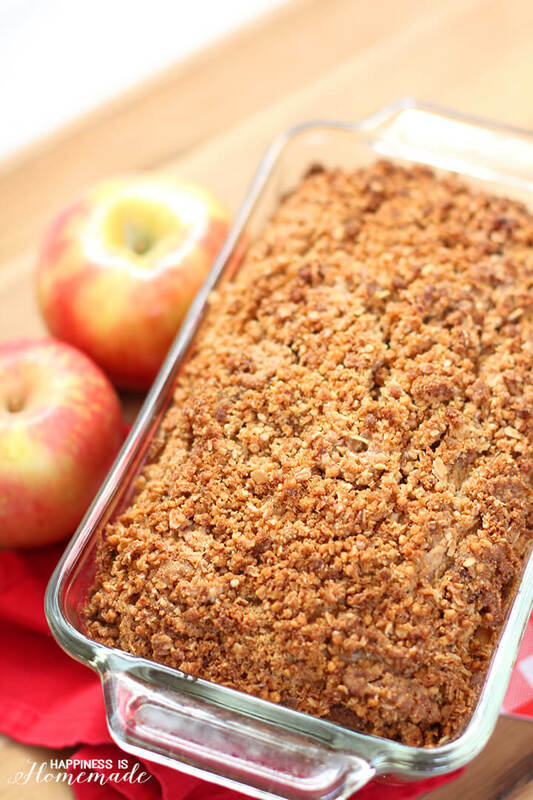 This apple yogurt bread with granola streusel is my new favorite fall breakfast treat! It’s packed full of yummy seasonal ingredients including one super special ingredient that elevates the flavors and keeps the bread moist and delicious – Yoplait yogurt! Preheat oven to 350 degrees. Grease a 9" loaf pan. 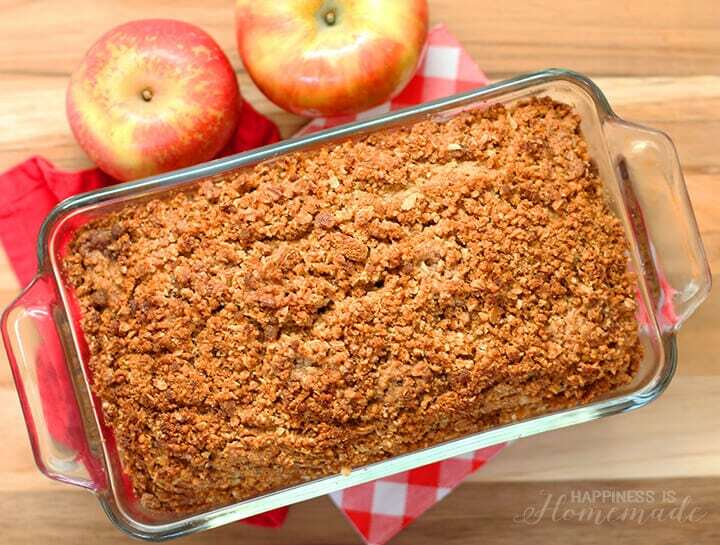 In a small bowl, combine chopped apples with brown sugar and cinnamon. 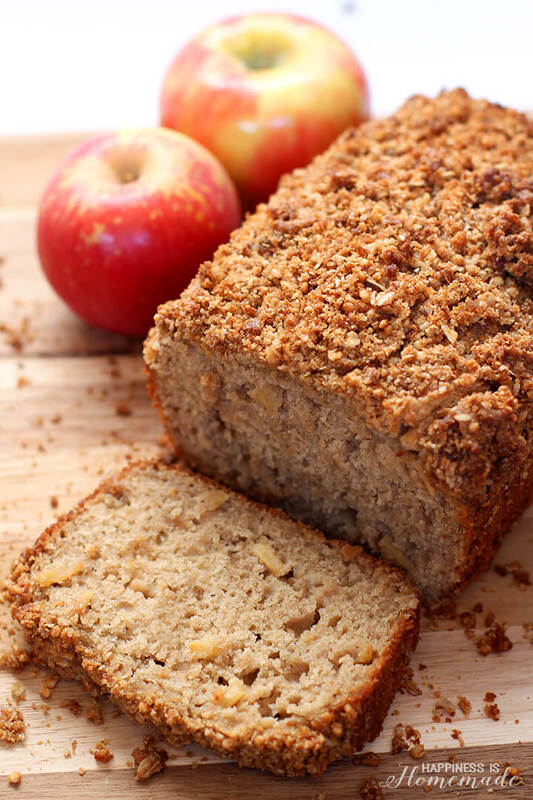 Mix, and allow the apples to sit while you prepare the bread batter. In a stand mixer, combine melted butter, brown sugar, vanilla, eggs, yogurt, and applesauce. In another small bowl, combine the flour, baking powder, baking soda, and salt. Add the dry ingredients to the wet ingredients and mix well. Fold in the cinnamon apples. 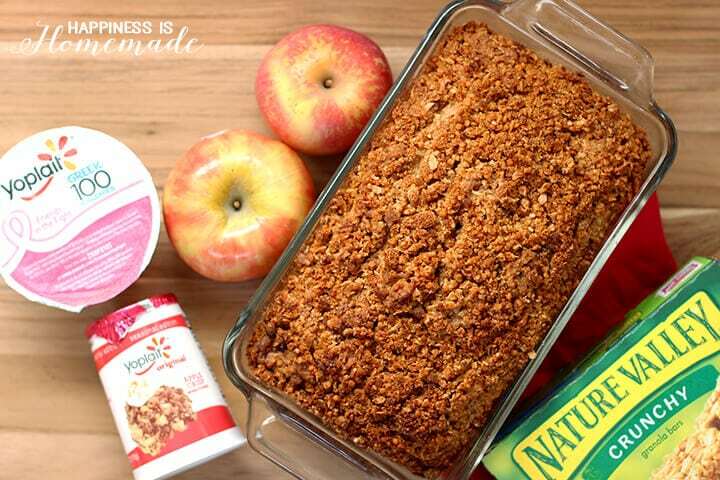 Crush 3-4 granola bars, and combine the granola crumbs with melted butter and brown sugar. Sprinkle on top of the bread batter in the loaf pan. 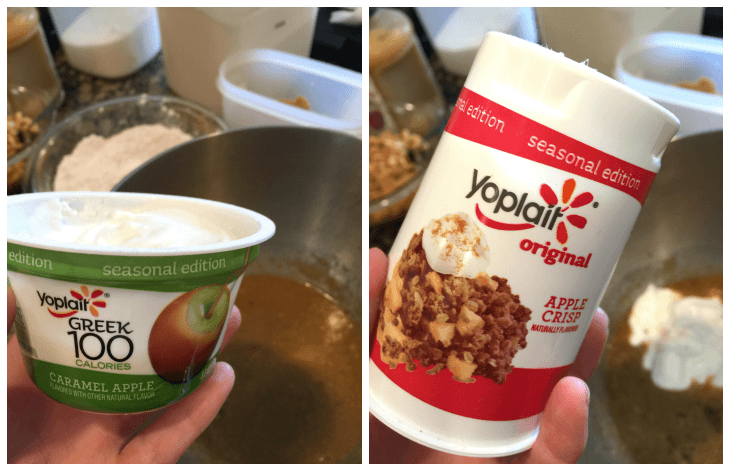 The recipe calls for a total of 1 cup of yogurt, and I like to use a mix of Yoplait Caramel Apple and Apple Crisp yogurts. Add 1/2 cup of each flavor, or mix and match to suit your taste. 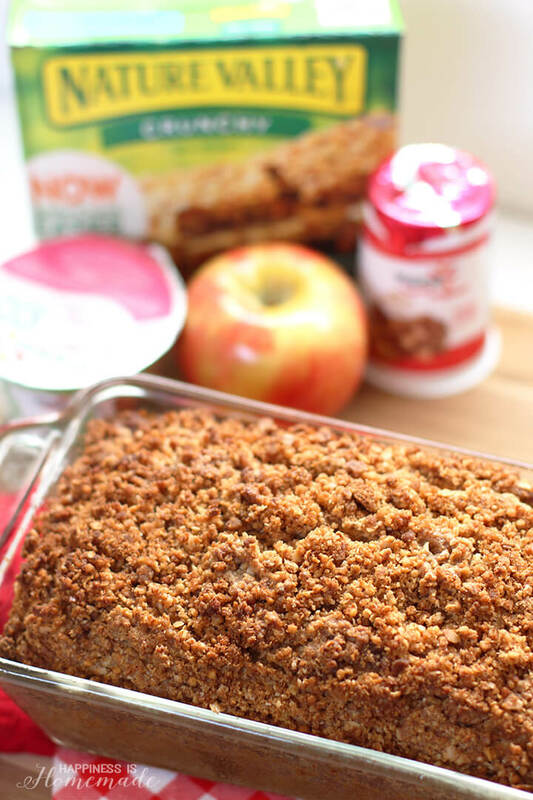 Pour the batter into a greased loaf pan, and top with the granola bar streusel mixture. Bake for 50-60 minutes or until a toothpick inserted into the center comes out clean. 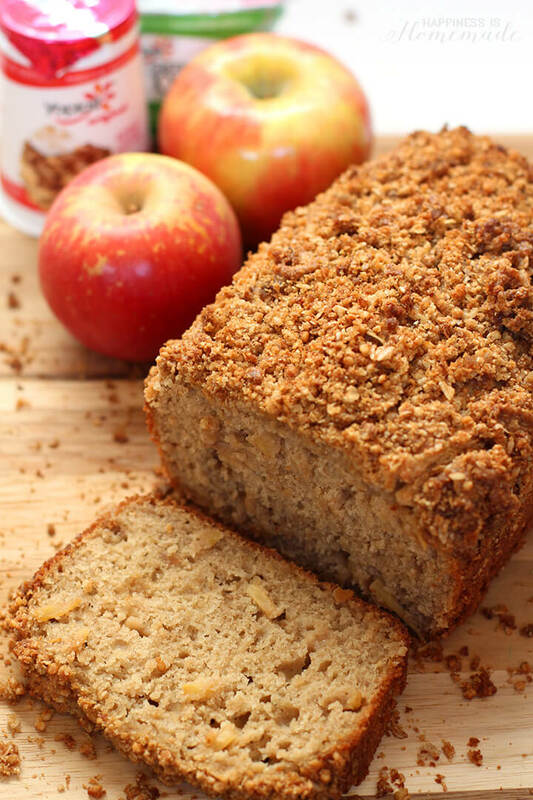 The combination of Yoplait yogurts give the bread a deeper apple flavor, and adds a hint of sweetness and caramel. 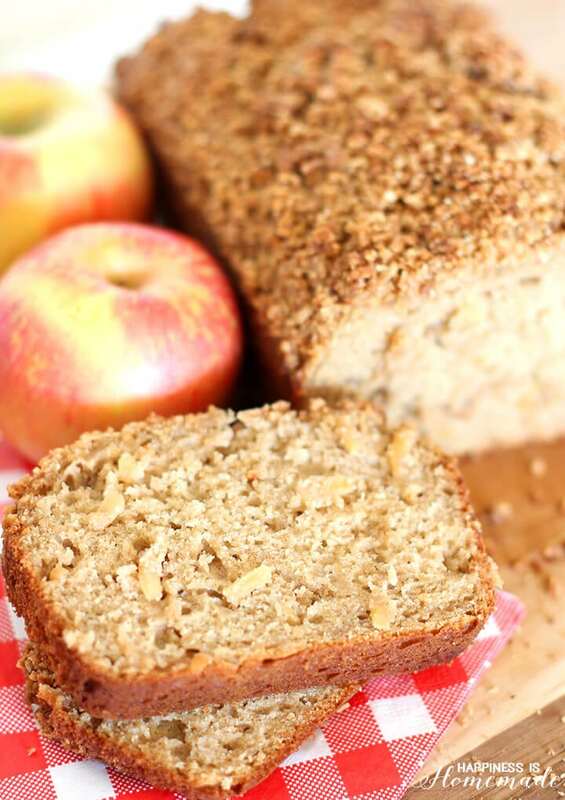 The bread is perfectly sweet without being too sweet, and was a huge hit with all of my boys. 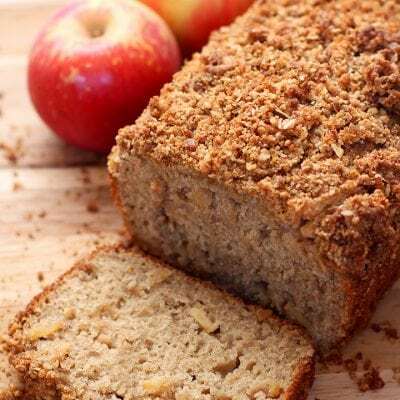 This apple yogurt bread with granola streusel is a delicious treat that’s perfect with a hot cup of tea or coffee on a crisp fall morning!